For one thing, 2019 finds Fleetwood Mac really shining the spotlight on its female voices — among the most crucial in rock history. 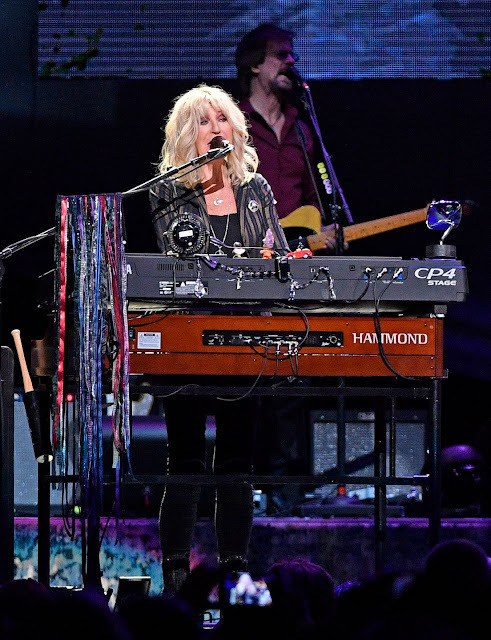 The show’s electrifying opening darted from “The Chain” to “Little Lies” and “Dreams,” which were all led by Nick and keyboardist/vocalist Christine McVie. Of course, there are some new faces in the spotlight, too. 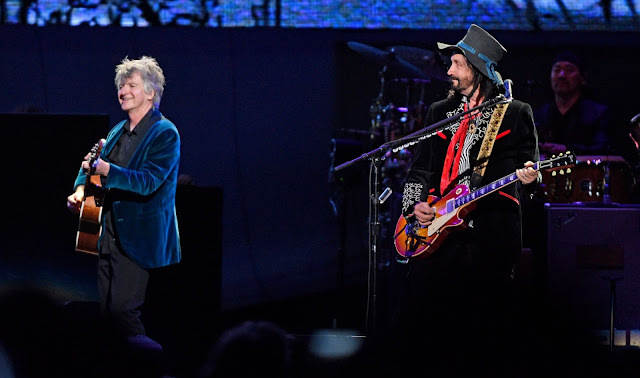 Two prominent musicians were recruited to take Buckingham’s place: Crowded House leader Neil Finn and guitarist Mike Campbell, formerly of Tom Petty and the Heartbreakers. For better or worse, their jovial presence seemed to remove all tension from the stage, while deftly handling every lick and line between the two of them. And along with his raucous tone, the mere sight of Campbell was a welcome one, after Petty's sudden death in 2017 threatened to cut the guitarist's arena-rocking career short. In the encore, he and the rest of the band paid tribute with a cover of "Free Fallin," as images of Petty splashed across the video screens. 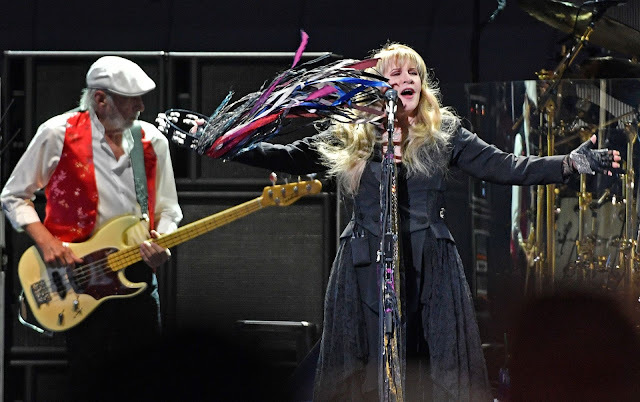 But just as it did in 2015, Nashville saved most of its adulation for Nicks, whether she was mystically presiding over "Gold Dust Woman," "Gypsy" or "Rhiannon." The room reached a fever pitch during "Landslide" — and the fact that Finn was standing in Buckingham's place didn't seem to damper the emotion much. Nicks dedicated that song to a number of friends in the audience that night: Sheryl Crow, Jessie Baylin and Nathan Followill of Kings of Leon. "We are very glad to be here," Nicks said. "I think when all of us — no matter which kind of music we exactly play — were little, we said we (wanted) to play on the stage in Nashville." And any time Nicks wasn't on the stage, the rest of her band had their work cut out for them. Fleetwood Mac, clearly, is a band that likes breaks, and that made for a few lulls in the evening as various factions of the group tried to hold the crowd's attention while their bandmates were backstage. Of course, this crew knew to finish strong, with an encore comprised of "Free Fallin'," "Don't Stop," and the unlikely closer "All Over Again." 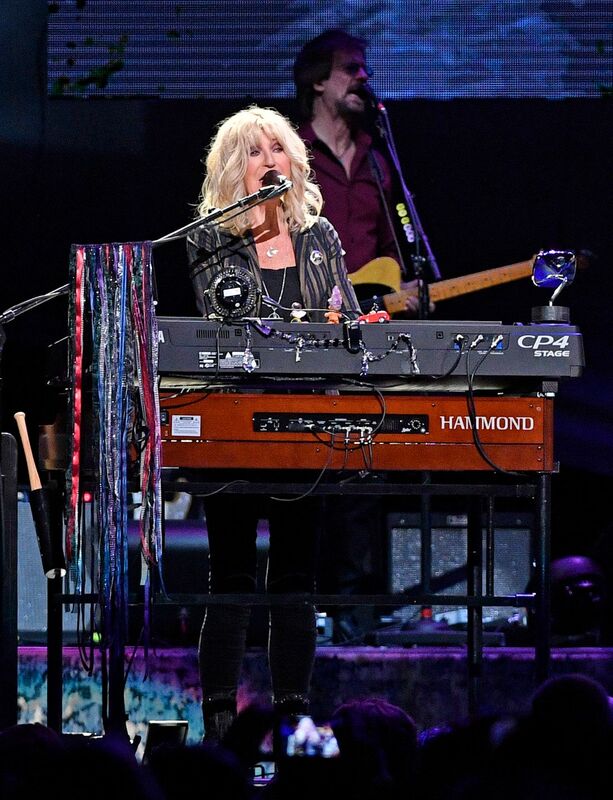 As Christine McVie explained, it wasn’t a very well-known song by the band, but one that was apt for the present.